Robin Storey, the man behind the Rapoon identity, as many readers may know, has a long-standing history in the ambient music genre and is generally seen as a musician of great prominence as he’s been creating music since the early 1980s, when he founded the pioneering experimental ambient act Zoviet France (a group that also featured experimental musician Mark Spybey, among others). 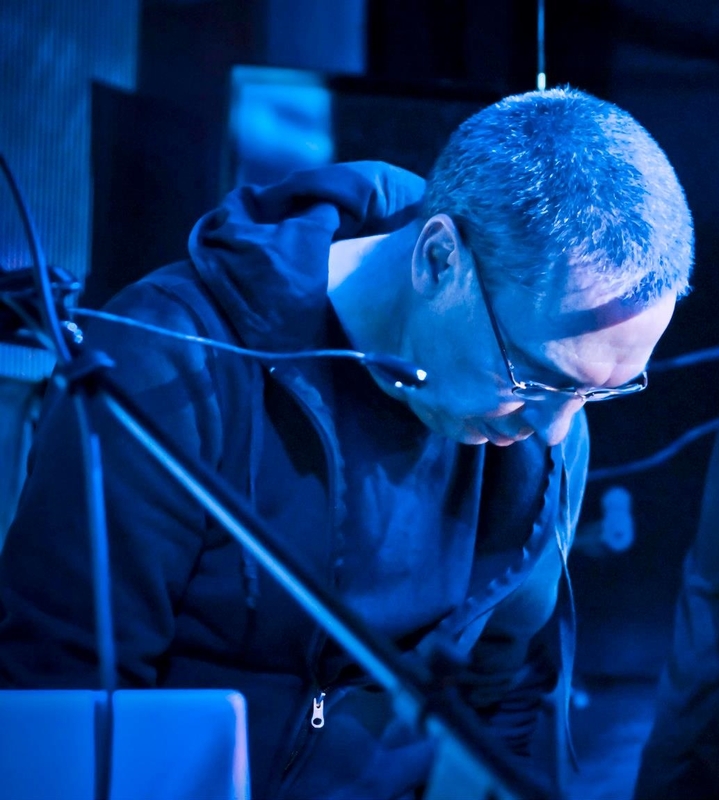 As Rapoon, Storey has been producing music that has been dubbed “ethno-ambient,” “tribal ambient,” and “ambient industrial” since 1992, when he broke away from the confines of the well-known and highly influential, but more modern-sounding Zoviet France. Storey’s separation from Zoviet France allowed him a great deal of personal freedom in regards to expressing musical ideas that were much more remote, ancient, and distant from his elder project’s contemporary (but also hypnotically eldritch) material; it’s as if being on his own enabled Storey greater and greater power to call upon something that was much deeper and archaic from mankind’s primeval past. Originally released in the year 1998 on the now long-defunct Release Entertainment label, an eclectic (and mightily excellent) sub-division of Relapse Records, Rapoon’s The Fires of the Borderlands has recently been reissued on the Polish Zoharum label, an upstanding label itself that has championed a number of other Rapoon releases (and many other weird and wonderful musical artifacts). From what I’ve been able to ascertain over the years and from various online sources, the album has become something of a touchstone in Rapoon’s catalog, which clearly explains Zoharum’s desire to reissue the album, but I had personally never given myself over to listening to it for one reason or another. My mistake I suppose, but I am thankful that I was given the chance to become as well-acquainted with it as I have now become. Owning some of the project’s other albums, I had something of an idea of what the album might have in store for me, and, for better or worse, I might have even approached it with a bit of expectation, but as stated above, I came to The Fires of the Borderlands as a largely unfamiliar explorer; a stranger in an even stranger land of inscrutable mystery and primordial ambience. After immersing myself within the album’s antediluvian contours, it became abundantly clear that it exemplifies everything that makes the project such a longstanding and beloved project for ambient music enthusiasts the world over, and how even today the album has very few effective competitors (some obvious contemporaries include works by Robert Rich, Vidna Obmana, O Yuki Conjugate, Steve Roach, Lustmord, etc.). Through what sounds to me like very simple means and techniques—the album was created in the mid-to-late ’90s, so I am guessing there was a fair amount of earlier and primitive (by today’s standards, anyway) musical equipment used in its creation—Storey has conjured up something that sounds truly, enthrallingly primal. Mr. Storey is, in a very real sense, a musical shaman; someone who’s alive and well in the modern age but regularly travels back into the past to confer with the spirits of old, returning with much-needed wisdom and information in the form of sound to heal our currently world-weary souls. On The Fires of the Borderlands, he treats the listener to a host of dark, rich, and visionary sounds that bring to mind notions of past antiquity. Practically all of the tracks here are heavily drenched in reverb, summoning up images of caves where mankind first sought refuge and used tools like rock, flint, and sticks to create the illuminating and magical light of fire that drove away the darkness. Also presented as a common theme throughout the duration of the album are looped phrases, echoing voices, eerie drones, and tribal rhythms. In some sense, there’s a good deal of similarity amongst each song, and there are more than a few instances of striking similarity which at times makes one think they’ve already heard this song before. As an example, take the excellent opening track “Hollow Flight” and compare it to the beginning of “Omaneska,” or how the later part of “Groundswell” sounds closely related to “Still, so Still,” but I think that all comes down to the intention of the musician who created the album and his particular concept, use of equipment, and technique. It’s meant to sound the way it does: sparse, dark, repetitive, and is generally typical of the high-quality dark ambient music of the time period. Some listeners may see this as a fault within the album’s design, (to their credit, their perception of what it is they’re hearing matters, so they are entitled to that thought), but I don’t think the concept of repetition and simplicity should be seen as problematic here, and the more one actually listens to the album, the more uniqueness one hears in each piece even as a sense of kinship and recurrence exists from track to track. The Fires of the Borderlands not only sounds prehistoric, but it possesses a great ability to evoke a tremendous feeling of deep-seated reverence for our lost ancestral knowledge and a world long since passed; a world governed by the rising and setting of the sun, the awe of distant stars wheeling above in the firmament, cycles of birth and death and of our connection to the plants and animals that once peaceably shared the earth alongside of us. The album is an excellent and startlingly accurate attempt at recalling through sound a time when man was inextricably linked to the nature from which he sprang from, a time before things such as religion and industry spirited us all away from our earthly roots and stifled our fundamental sense of connectedness to all things. The Fires of the Borderlands is essential listening for anyone either mildly or obsessively interested in dark ambient music of any kind. Praise be to the Zoharum label for reissuing the album once again to a wider audience.